According to research reported in Wong and Wong (1998), the typical teacher consumes 90 percent of allocated time. Yet the only way a student learns anything is by putting in effort—by learning to work. 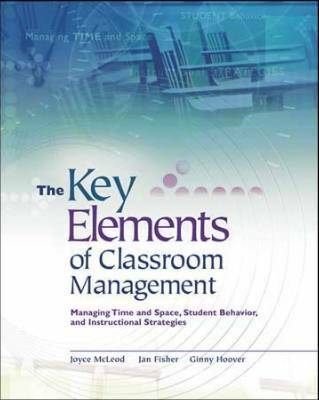 In this chapter, we examine some basic daily schedules used in a variety of elementary, middle, and high school settings and look at ways to use this scheduled time to maximize instructional time. Time management is critical to student achievement and attitudes toward learning. Elementary school schedules are generally determined by three factors: the number of instructional minutes for each subject area as mandated by the district or state; special class schedules, such as music, art, physical education, and library; and the overall school schedule as dictated by bus schedules, lunch times, and so forth. Time frames for each subject area in the elementary grades vary according to grade level, but the largest block of the daily schedule is usually devoted to reading and language arts and the second largest block to mathematics. The remaining subject areas—science, social studies, health, music, art, and physical education—may have mandates for a certain number of minutes per day or week, but the schedule is usually left to the discretion of the local school if special teachers teach art, music, or physical education, or to each teacher or team of teachers for scheduling science, social studies, and health. The school day for kindergarten is usually either a half-day or full-day program. Kindergarten schedules are therefore individualized within these time frames and developed according to the philosophy that guides the program. However, for some kindergarten classes (usually the full-day programs), the schedule is also driven by the overall school schedule for lunch, bus schedules, and special classes, such as music, art, and physical education. One successful way of organizing the elementary school, and even the middle school, to make better use of instructional time is the practice of looping. In this approach, students remain with one teacher for two to three years—the teacher and the students get promoted together. According to Jim Grant, codirector of the National Alliance of Multiage Educators, teachers who loop have fewer transitions to make at the beginning of the school year and can introduce curriculum topics right a way. By allowing students and teachers to remain together, Grant says, looping buys time (Rasmussen, 1998). This extra time allows teachers to teach topics in greater depth and to better meet the needs of individual students. Another organizational option in the elementary grades is the vertical team. In this configuration, one team of teachers teaches multiple grade levels in a “neighborhood” concept. The same children remain in the neighborhood with this team of teachers for a period of four to five years. Just as in the looping strategy, time spent getting to know students at the beginning of the year, teaching routines and procedures, and assessing each student's learning level are eliminated. Teachers have the benefit of knowing the students they will teach the following year; in addition, shared teacher planning and multigrade activities add richness to the curriculum. Students' individual needs are more easily met in this setting because materials for multiple grades are within reach, and the use of cross-grade grouping to meet individual needs is time efficient. The first day of school in a vertical-team neighborhood is a productive and comfortable day for both teachers and students as they return to a familiar environment. Red Mountain Ranch School in Mesa, Arizona, is incorporating the nationwide concept of schools-within-a-school using vertical teams. See http://www.mpsaz.org/redmtnranch/Vertical_Team_Philosophy.html for research findings on this organizational structure. Middle and high schools basically offer two scheduling options: an hour period for each subject area, or one of the configurations of block scheduling. The middle school schedule generally follows the high school schedule in order to prepare students for the high school experience. A measure of classroom attendance at the secondary school level. One unit represents one hour per day each academic year, or between 180 and 190 hours of classroom contact (United States Education Reference File, 1999). Frey further notes that although the reporting is in units of an hour, that “hour” might be 60, 55, 50, 45, or 40 minutes, and the academic year might be 36, 37, 38, 39, or 40 weeks long. However, these inequities in time are generally ignored when curricula from two or more institutions are compared (United States Education Reference File, 1999). The criteria for receiving a high school diploma is based on the number of Carnegie Units earned on the required course of study. Although colleges and universities use the Carnegie Unit as part of their admission criteria, the inequity in class time that defines a Carnegie Unit makes it difficult for college admission officers to evaluate how much time an applicant has spent on required course work. The Carnegie Unit has been criticized in recent years because of its emphasis on time spent in courses, the instructional organization of discrete 40-plus-minute segments, and the unit earned rather than emphasis on the knowledge acquired (Maeroff, 1994). Critics also say that the pace a typical student pursues in nine different locations doing nine different activities in a six-and-a-half-hour school day is grueling. The pace for the teacher is grueling as well: an average teacher teaches five classes each day, works with 125 to 180 students, and makes multiple daily preparations. As Carroll (1994) states, “It produces a hectic, impersonal, inefficient instructional environment; provides inadequate time for probing ideas in depth; and tends to discourage using a variety of learning activities.” Individual students learn at differing rates and in different ways, yet the hour period allocates identical time for all students. In addition, lost time occurs during the multiple class changes and administrative duties that accompany starting and ending so many classes in one day. The Carnegie Unit is an organizational system that emphasizes an inflexible use of time that, for many students, does not serve their learning needs. At least part of the daily schedule is organized into larger blocks of time (more than 60 minutes) to allow flexibility for a diversity of instructional activities. Regardless of the configuration of the block schedule, the most important issue is that it drastically changes the way instructional time is used and instruction is delivered. There is decreased reliance on the standard lecture-discussion-seatwork pattern and an increase in individualization and creative teaching strategies. These larger blocks of time allow for a more flexible classroom environment in which teachers can use more varied and interactive styles of teaching. Figures 2.1 and 2.2 are examples of two of the most frequently used block schedule configurations. On the surface, block scheduling seems to be the answer to some of the time problems inherent in the Carnegie Unit schedule. However, the process of making the change to block scheduling is a challenge. The Northwest Regional Educational Laboratory (1990) recommends two years of planning before implementation. Teachers who have taught in 35-minute to 50-minute blocks for years need time and training in order to develop the skills and strategies necessary to teach in large blocks of time. Teachers who are most successful in block scheduling plan lessons to include explanation, application, and synthesis. Most teachers have had little experience in the application and synthesis phases of a lesson. Another area in which teachers need in-depth training is in cooperative learning, community building, and team formation. Implementing block scheduling is a time issue—one that must be carefully considered before the schedule change is actually made. Without consensus among the superintendent, school board, principals, teachers, students, and parents, the change is likely to be met with strong resistance. Building the support of all stakeholders takes time and requires many opportunities for all parties to learn about the proposed new schedule and discuss the ramifications of the change (Carroll, 1994). Teachers need time for professional development to help them implement a new schedule and develop their abilities to use instructional strategies appropriately in a longer time period. Scheduling plans must be carefully developed to ensure that each student is provided the time and the opportunity to complete the requirements for high school graduation. So although block scheduling offers an alternative to the Carnegie Unit schedule, implementing the change is not only a time issue but also an issue that touches at the very heart of the nature of high school. Steve Krasner (2002) has compiled an extensive bibliography of resources on block scheduling and use of time in school at http://www.ctserc.org/library/actualbibs/BlockScheduling.pdf. Although teachers have little control over the mandated daily schedule or the curriculum, they do have control over how they allocate time to teach the standards and grade-level objectives. Teachers' responsibilities for pacing the year's curriculum involve two important elements: teaching key grade-level or course content to a depth that ensures that most students master that content—in other words, teaching a curriculum that favors depth over breadth rather than being an inch deep and a mile wide; and assessing the learning needs of each student and providing interventions to help students move along a continuum of learning experiences that allows them to achieve grade-level standards. Instructional pacing is directly related to time allocation. Too many times, teachers reach the midpoint of the school year and realize that there is no way they can accomplish the year's work or even cover what's on the upcoming test. So, pacing must begin the first day of the new school year. At the begining of the year, study the standards for each subject you teach. Identify the key content assessed on high-stakes tests, and determine ways that you can connect key ideas within the curriculum area or to another curriculum area to minimize teaching the same thing in two or three different units or subject areas. Mark dates on a calendar of special events, such as standardized and high-stakes test schedules, holidays, and other school events that are likely to either shorten instructional time or cause students' attention to be diverted from the instructional program. Schedule the major parts of your curriculum in time periods that allow for uninterrupted time and that work within the testing schedule. Build in extra time for content that you know is particularly difficult for students or that requires spaced review and practice to develop proficiency. Identify those areas of the curriculum you can develop using learning centers or other independent work that can be done outside of school. For example, developing students' abilities to measure and understand measurement concepts simply can't be done in a three-week unit, so you might develop the measurement standards and objectives by making them the topic of daily “sponge” activities supported by learning centers that provide practice. Refer to your pacing calendar every week as you plan your lessons. Quickly finding that your pacing plan is either too ambitious for your students or that the pace of instruction is too slow buys time that you can spend on other topics, and can alert you to the need to assist students for whom the pacing is too rigorous. Accountability demands that we take a “macro” look at the curriculum at the beginning of the year and a “micro” look every week because time for learning is a key variable in student achievement. Instructional planning is key to successful classroom management. Pacing the curriculum for exceptional students with identified learning disabilities and for able learners is especially challenging in today's standardsbased environment. Resources that provide information and assistance in meeting these students' needs are available through the Learning Disabilities Association and the Council for Exceptional Children. Information on flexible pacing techniques for use with able and gifted learners is available from the ERIC Clearinghouse on Disabilities (1989) and Gifted Education. Once your pacing plan is in place, you can think about how to use the instructional blocks of time allocated in the daily schedule. You can choose from several different instructional methodologies and can structure the time within an instructional block in a myriad of ways. However, planning successful instructional activities includes the sequence of events shown in Figure 2.3. Plans ahead—checks that there are enough materials for each student. Duplicate materials that each student needs. For center work, prepares materials, decides on procedures for center use, and posts directions, rules, and the assignment; decides on student groups if necessary. Estimate the number of minutes required for class setup—passing out materials, setting up group work areas, and getting students moved to their workstations. Determines the lesson objective; decides on a motivating, interactive way to introduce it; decides what product students are to produce, and the due date for that product. Estimate the number of minutes required to introduce the lesson. Decides on an instructional strategy—a teacher demonstration, lecture, whole-class discussion, debate, or other strategy. Estimate the number of minutes needed for the instructional strategy. Decides on the directions and the amount of time required for most students to complete the assignment. Estimate the length of time you need to give students to work on the assignment. Determine whether the assignment must be turned in before the end of class or whether it is homework due at a future time. Decides on a strategy for lesson closure. Plans to give a five-minute “stop work and cleanup” warning followed by a two-minute warning so students can give their full attention to the closure activity. Plan to use the last three to five minutes to celebrate what students have learned, link the new learning to real life and prior learning, review students' responsibilities for completing the assignment, and develop anticipation for tomorrow's lesson. Now let's look at ways to use various instructional strategies within varying timeframes. One key factor in planning a lesson is to consider the attention span of your students. According to the 3M Meeting Network, the average attention span of an audience is 18 minutes—and this is for adults (Burmark, 2002). We know that young children generally have short attention spans. (To estimate the number of minutes of a child's attention span, add two to the child's age.) So, for children in the elementary grades, activities within a time period should vary to include a mix of listening, movement, hands-on experiences, and individual, partner, or group work. Even though middle and high school students should have longer attention spans, many students continue to have difficulty paying attention to a lecture for more than 10 minutes. On the other hand, some children can concentrate for extended periods of time on a project, game, computer activity, or book in which they are intensely interested. So, it is easy to understand why time management is crucial to successful learning experiences. For each learning experience, the time for each element of the lesson varies with the type of activity and the students' ages. Use of time and choice of instructional strategies are also based on the scheduled time for the learning experience. However, regardless of the length of time, successful lessons include the entire sequence of events shown in Figure 2.1 above. Time wasted getting materials and supplies at the beginning of the lesson sets a negative tone and encourages off-task behavior. Lectures and seatwork assignments that are too long and group work and hands-on activities that are too short fail to accomplish the learning objective. A hurried ending to the lesson leaves students without closure—one of the key elements important for permanent learning. It is also a critical time for teachers to assess which students accomplished the objective and which students need more time. The old adage “Time lost is never found” rings especially true in the classroom. Plan at least five minutes for distributing lab equipment or manipulatives. This time may be shortened as students become more familiar with the procedures. If lab or hands-on materials are new to students, spend a few minutes helping them understand what the materials are, how to use them, what safety precautions (if any) to follow, and what they are to do with the materials at the end of the class. For science experiments involving messy materials, such as sand, water, dirt, and other liquids, plan an extra five minutes for cleanup. Chaos results when students are moving in every direction to clean up real messes. Ask the custodian for a large garbage can for disposal of consumable materials. Use a system to collect completed student work. Effective techniques include locating a basket in an accessible place and having students place their work in the basket upon completion, or collecting papers in the seating order so that they can be quickly returned in the same order. It is usually best not to have students collect other students' assignments, as the opportunity for misbehavior is high when students handle one another's work. In addition, maintaining the confidentiality of student work is one of your key responsibilities. Scheduling students' time for computer activities and learning centers requires a systematic approach. One strategy is to use computer work as one of a group of learning centers. The whole class rotates through the centers according to an organized plan. In some classes, center work is scheduled one day of the week for a 35- to 60-minute period. Plan the center activities so that equal amounts of time are spent in each center, and there is adequate time to complete an activity or task. Develop a plan to ensure that all students rotate through each of the centers and that the number of students at a center at one time is acceptable. One technique for doing this is to design a “passport” that lists the centers in the order that each group of students must follow. For example, if you have four centers and students are allowed 20 to 30 minutes at each one, they can complete all four centers in two- to three-center sessions. If students are allowed access to the computer when they have free time, have them keep a log of their time and what activities they did. Because some students rush through their class work so they can spend time at the computer, this record is a helpful check on students' use of time. For older students who are allowed to choose group members to work on special projects, develop and teach a procedure for that process before the option is allowed. It has been our experience that this process can be extremely painful for students who are not well regarded by their peers or who have learning difficulties and are perceived to hamper the group's efforts. Therefore, it is probably best that choice be allowed only when the majority of the work is done outside of class and the assignment provides several different options, such as preparing multimedia presentations, writing and performing skits or plays, doing research projects, or building entries for various contests (science fairs, engineering competitions, and so forth). Clear criteria for grading is an absolute must for project work that involves multiple students and a significant commitment of time. Allow adequate time for completion of the laboratory and hands-on activities. Estimate the time based on prior experience; if this is the first time you have done this particular activity, allocate a generous amount of time and then monitor to see if your estimate is reasonable. Allotting enough time to successfully complete the work but not enough for off-task behavior is tricky, but careful monitoring of actual time versus estimated time helps you plan time allocations for future hands-on experiences. Evaluate the time it takes for each instructional strategy you choose. If the strategy takes longer than your scheduled time, it is best not to attempt it. Some activities, such as complex science experiments, research projects, cooperative group assignments, and others, simply cannot be done in an hour period. These activities are ideal for block schedules or when you can arrange to have extra time. For periods of 60 to 90 minutes, use a variety of instructional strategies in order to maintain students' attention. Limit lectures to no more than 20 minutes for high school students and 15 minutes for middle school students. A successful lecture technique is to insert breaks for processing information. Use brief discussions among student partners or small groups or application activities that help students apply the information just presented. Another technique for refocusing students' attention is to have them stand up when you present a particularly important point or summary. A great memory builder is to simply remind students of the point that was made when they were standing up. Assigning individual seatwork as a part of scheduled class time is an excellent way to monitor student progress and give you time to work with individual students who need additional assistance. Successful assignments are those that offer a comfortable challenge for which the student is adequately prepared and that can be completed in a reasonable period of time with a fairly high likelihood of success. An example of inappropriate seatwork would be assigning 4th graders a set of 25 long-division problems when they are first learning the procedure for dividing by a two-digit number. Frustration sets in, poor attitudes toward math develop, and students practice making the same mistake so many times that it becomes ingrained in their thinking. As students move up in the grades, assigning projects is a way to help them learn how to research, structure their time to complete a long-term assignment, and make oral and visual presentations to their peers. Successful project work is based on development of the organizational and research skills necessary to do quality work. One way to ensure that this happens is to develop a sequence of experiences over several years to build students' abilities. For example, beginning in 4th grade, teachers can assign a small project due in a week. Each day of the week, they can help students organize a sequence of steps that they must take to complete the work, find and use research sources, develop computer skills (if required), and prepare their presentations. In other words, the entire process is an instructional strategy. Over time, less and less support is provided; projects are done over longer periods of time; and requirements become increasingly stringent. Effective time management is one of the skills necessary for success in school as well as in everyday life and in the work world. Students need time to practice, rehearse, review, apply, and connect new learning and relate it to their everyday lives. Teachers who effectively manage time give their students the best opportunity to learn and to develop personal habits that lead to wise use of time. In Chapter 3, we examine ways to manage transitions, administrative tasks, and interruptions. Efficient use of time for these activities increases the amount of time for instructional activities. Copyright © 2003 by Association for Supervision and Curriculum Development. All rights reserved. No part of this publication—including the drawings, graphs, illustrations, or chapters, except for brief quotations in critical reviews or articles—may be reproduced or transmitted in any form or by any means, electronic or mechanical, including photocopy, recording, or any information storage and retrieval system, without permission from ASCD.